SAYREVILLE, NJ -- An off-duty New Jersey police officer has been found shot to death in his car in the parking lot of a closed movie theater complex. Middlesex County Prosecutor Andrew Carey says the Sayreville police officer was found dead Monday morning with gunshot wounds. The officer was a 9-year veteran and worked in an undercover capacity. 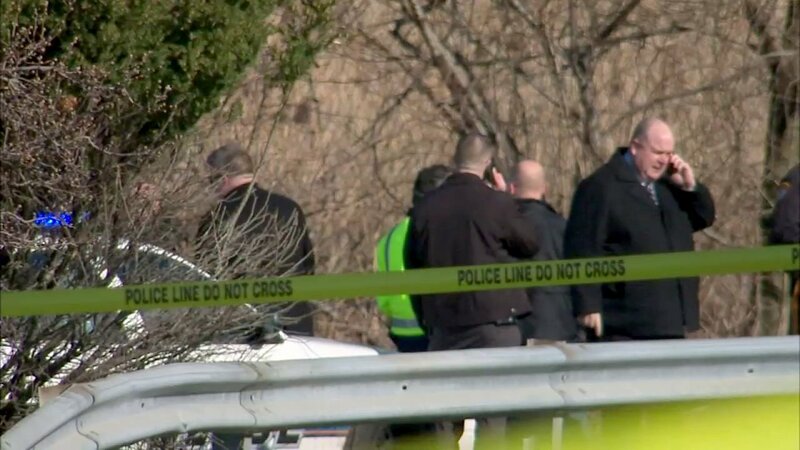 Spokesman James O'Neill said Monday afternoon that the officer's manner of death had yet to be determined and that autopsy results weren't immediately available. Here are photos of the scene after an off-duty police officer was shot and killed Monday morning in Sayreville, New Jersey. Investigators were examining a black Dodge with a shattered window on its passenger's-side door. The vehicle was not a police cruiser. O'Neill says the department began investigating after being alerted to a report of a body near the former movie theater off Route 9. An American flag at the nearby Sayreville police station was lowered to half-staff. Officers referred comment to prosecutors.